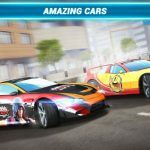 Drift Spirits, or Dorisupi in its original Japanese form, is an exciting racing game for iOS and Android from Bandai Namco Entertainment. 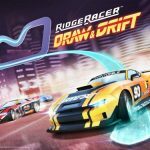 In the game your goal is to make the fastest drift and beat your opponents from all around the world in head-to-head battles. 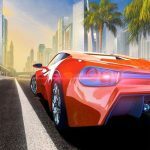 You can make your drifts even more dynamic with nitro, just as you could in other racing/drifting games, and you can choose from a variety of cars from six different automakers. 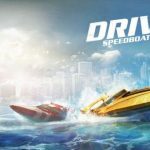 There’s also a Story Mode aside from the popular Vs Battle Mode, and just so you’ll know, the following Drift Spirits cheats, tips and strategies will help you succeed in either one of those modes. At first, you’ll have no choice but to pick one out of three cars with three-star levels, which isn’t really impressive in the bigger picture. However, if you play the game for about an hour or so, you’ll have an option to replace your ride with a four-star vehicle. It should be easy to get there, as your tutorial opponents won’t be too much of a problem. As such, you can use this learning stage to practice your timing. When it comes to shifting, you should tap the steering wheel of your car at the precise time, meaning just as your front tires are approaching the yellow mark that lets you know you’re entering the drift zone. But more importantly, you should rev your engine once you see the green light next to the tachometer. As for using nitrous oxide to enhance your drifts, the game will suggest that you turn on the nitro soon almost right off the bat, but it would be better to scout your opponent first before activating the nitro, to use it to compensate for a poor drift, or to pull off a come-from-behind win right as you’re preparing to reach the finish line. For starters, you’ll get ten free parts per day for logging in – these parts are generally worthless, but you can use these lower-end parts to enhance higher-end ones when you combine them together. You can pay tickets for cars and parts, with red tickets giving you a four- or five-star ride; the chance of getting the latter, though, is a mere 1 percent. Gold tickets give you a more randomized chance at five-star cars and/or parts. Lastly, winning races is a third way to get better parts and cars, particularly if it’s the last race in a daily event. As we told you above, you can combine lower-end parts to enhance higher-end ones, but this shouldn’t be done all the time. This process, after all, will cost you coins, and this could take a toll on your earnings if you keep doing it. What you’ll want to do is to wait until you see a part or a car you can use for a long period of time, then combine it with something lower-end.